Martha Masters’ playing has been described as “seductive” by the Ft. Worth Star Telegram, “intelligent and natural” by Guitar Review, and “refined and elegant” by the American Record Guide. She is active as a solo recitalist, as a chamber musician, and as a soloist with orchestras. Recent concert seasons have included performances on concert series and at festivals in China, England, Denmark, Spain, Poland, Germany, Paraguay, Peru, Puerto Rico, Canada, Mexico, and throughout the United States. Masters’ first CD, Serenade, is now in its second printing, and her Naxos recital disc sold over 10,000 copies worldwide in the first year of its release. Her recording of Italian music was released in 2006 on the GSP label, and a recording of early 20th Century Spanish music was released on GSP in 2009. Masters has published books with Mel Bay and Alfred, and has received critical acclaim as an author and pedagogue. In October of 2000 Martha Masters won first prize in the Guitar Foundation of America (GFA) International Solo Competition, including a recording contract with Naxos, a concert video with Mel Bay, and an extensive North American concert tour. 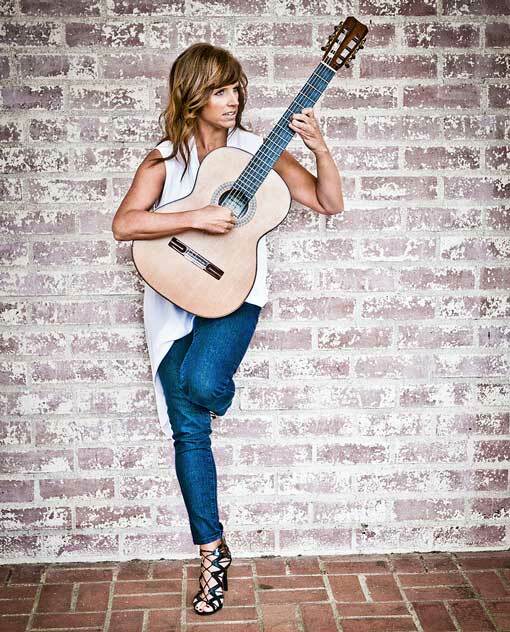 In November of 2000, she also won the Andrés Segovia International Guitar Competition in Linares, Spain and was a finalist in the Alexandre Tansman International Competition of Musical Personalities in Lodz, Poland. Prior to 2000, Masters was a prizewinner or finalist in numerous other international competitions, including the 1999 International Guitar Competition “Paco Santiago Marín” in Granada, Spain, the 1998 Tokyo International Guitar Competition and the 1997 GFA International Solo Competition. In addition to being on the guitar faculty of California State University Fullerton and Loyola Marymount University in Los Angeles, Masters is also the President of the Guitar Foundation of America (GFA), dedicated to supporting the instrument, its players and its music in the US and throughout the world.